KaiVal Gift Baskets (pronounced KayVal) is a Canadian owned business that thrives on creating unique and gorgeous gift baskets & candy bouquets of exceptional value and quality. We are entering into our 9th year of this business, and the time has certainly flown by. I guess it is true what they say, "...Time flies when you're having fun..."!! 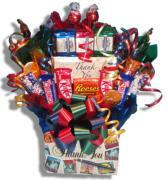 We absolutely love making gift baskets, especially creating new designs. So much so, that we started our candy bouquet line in the spring of 2009, our candy cakes in the fall of 2009 and our baby diaper cake designs at the beginning of 2010. We believe that you need to grow with the business, and listen to the demands and wishes of clients, and this has helped us grow as a business. 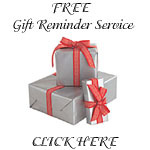 Unique, gorgeous and affordable gifts have the power to create a lasting impression. We know this, and it is our policy to create gift baskets, candy bouquets, candy cakes, diaper cakes and so much more, that you will be proud to give, and want to receive. KaiVal Gift Baskets has both enabled us to express ourselves creatively and raise funds for organizations such as the Montreal Children's Hospital, Canadian Cancer Society, Cystic Fibrosis and Scouts Canada as well. We hope that you take the time to get to know us better. Browse our site... then bookmark it or add us to your list of favourites if you wish.